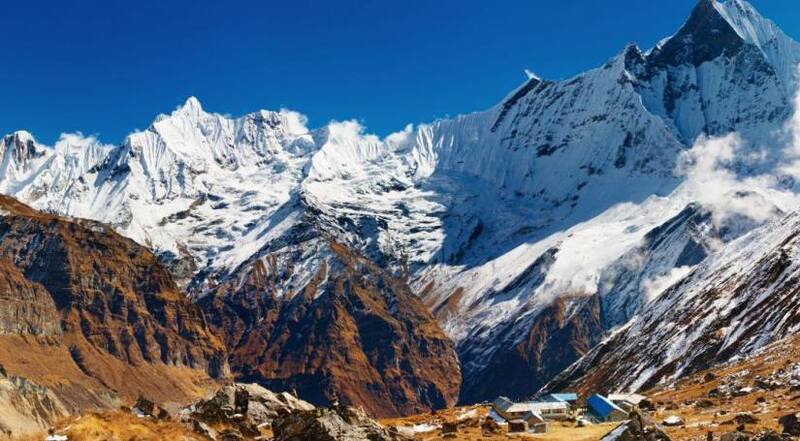 Annapurna Base Camp Trek, located at northern part of Nepal is well recognized trek all over the world. During the trek we will be rewarded with the spectacular views of wide horizon of mountains including Mt. Annapurna 8,091m, Mt. Machhapurchre 6,997m, Mt. Dhaulagiri 8,167m, Mt. Himchuli, and Mt. Gangapurna, Annapurna I 8,091m, Annapurna South 7,219m, Annapurna III 7,555m and many other snowcapped peaks. The trek offers walking through amazing waterfalls, charming cultural villages, agricultural farmlands, beautiful Rhododendron forests along with the views of beautiful Himalayas. Beside these, trekker can get an opportunity to explore Nepalese culture, lifestyle of mountain people, tradition and ways of living as well as interaction with honest and loyal locals. After we spend a couple of days in Kathmandu for sightseeing around and preparation for trekking, Annapurna Base Camp Trek with Junket Nepal Treks and Expedition starts with a scenic drive from Kathmandu to beautiful Lake City Pokhara. Pokhara is a gateway of Annapurna region trekking. We take a short drive towards Nayapool and start walking through beautiful rhododendron filled forests towards the Gurung tribute village of Ghorepani, passing through several charming villages, agricultural farmlands with gentle uphill and downhill walk often greets by beautiful mountains. Once we reach at the viewpoint of Poonhill we will be rewarded by splendid views of Annapurna and Dhaulagiri Himalayan Range. After poonhill, our trek follows straight forward trails towards the place of interest at Annapurna Base Camp. After spending a quality day at the base camp we will retrace our trail back to Pokhara then to Kathmandu. 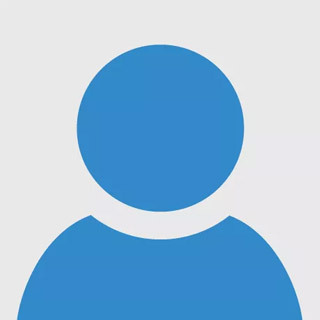 Personal expenses such as laundry, bar bill etc. We booked Annapurna Base Camp Treks trip not knowing about much involved with trekking the Himalayas. When we arrived in Katmandu I was wearing a pair of flip flops & shorts as I wasn't sure what to purchase. We met at the airport by a Junket Nepal’s representative, we bought everything (boots, socks, trekking pants, down jacket, woolly caps & rucksack). Then we were set. Next day we start our trek from Pokhara, we enjoyed the amazing time at Mountains with the funny guide and honest porters, guide provided us huge information about mountains, cultures, flora and fauna. Nice organization of Junket Nepal, would love to back again with this company. We booked our one week tour to Nepal with Junket Nepal treks. Before we go there we did not know anything about where to visit in this short time schedule since it was not possible to have Annapurna and Everest Base Camp Trek as per our schedule. Mr. Dilip, owner of the company offered us a great option as per our time schedule with very good price. We visited Kathmandu, Nagarkot, Chitwan, Pokhara and Sarangkot…….everything was well managed and systematically organized. Transportation, accommodation and guide he provided were awesome!!!!! Now I became a great fan of Nepali food, especially DAL BHAT TARKARI..!! wanna taste again. Highly recommended JUNKET NEPAL. Namaste!!!!!! Physical Fitness is an important part to have trekking adventure in Nepalese Himalayas. To be fully prepared to gain lifetime experience of walking in the mountains, explore Himalayan vista with combined cultural experience can accomplished by exploit inspired adventure seekers who can walk 4 to 6 hours ascends and descends per day. We generally prefer short and easy trek for first time trekkers and moderate to adventurous trekking for experienced trekkers as per preferences. Preparation for trekking has not any hard and fast rules and regulations. We recommend all trekkers to maintain their physical fitness level a couple of months before the trek. The fitness activities might be jugging, walk through steps (Uphill and Downhill), join a fitness club etc. while achieving the adventure experience of trekking, physical fitness as well as mental fitness plays vital role, every trekkers should also have to be mentally prepared. Almost popular trekking regions in Nepal are filled with sophisticated tea house lodges which offer standard room accommodation and hygienic foods. Every trekker can choose varieties of foods; Nepali, Continental, Indian etc from the menu. Apart from the popular trekking routes where the tea houses are not available, we will provide camping accommodation and prepare meals by our team members. In cities, you can choose any (non star to 5 star categorized) hotel to stay before/after begin the trip as per your budget and requirement. A Himalayan country Nepal amazingly presents several world’s high mountains including world’s top Mt. Everest, other mountains above 8000m from sea level and several snow-capped peaks. Grades of trekking determines as per altitude level, duration of the trek, level of difficulties, wilderness in trails and many more factors. Basically we classify the grades as; Easy, Moderate, Strenuous & Adventurous. Easy trekking is suitable for beginners, and gradually all grades trails offers unique taste of adventure for all adventure seeking trekkers. High altitude Sickness is totally unusual and unexpected sickness which means effect of high altitudes while in a trekking. It attracts more if we ascend so quickly in the mountains. As we know that prevention is better than cure, we don’t have to gain altitudes too quickly, acclimatize with altitude by slow and steady walk with numbers of reserve days would be a good idea. The symptoms of high altitude sickness are; loss of appetite, sleep disturbance, difficult to pass urine, headache, irregular breathing, Nausea, mild weakness, hands and face swelling etc. In case of such sickness while you are in mountain with our team, every trekker needs to follow the instructions provided by your guide, guides from Junket Nepal (P) Ltd always are well aware about such sickness and basic treatment procedure. Immediately descend from the altitude is one of the major treatment of high altitude sickness. Drink a lot of water, take some garlic soup, you may also take Diamox 250mg and other modes of cure. If the situation would be out of control situation with serious sickness, we will arrange immediate emergency evacuation by horse or helicopter depending upon the situation. Generally 2 seasons in an annual year are considered as a peak season of trekking and mountaineering in Nepal which are autumn – September, October & November and spring – March, April & May. During the season view of mountain will be clear. Some adventure seekers who want to walk not facing other large groups, peaceful environments can also choose December – February. June-August months are monsoon season which ruins long trekking trips but one can choose short hiking trips. I) Tea house trekking; available in several popular trekking regions of Nepal. This type or trek generally operated by using tea house lodges for meals and accommodations during the entire trekking. Tea house lodges are not well sophisticated as hotels and resorts in cities but they provide simply the best services and facilities. II) Camping Trekking; required to set up tented camps for the less beaten trekking regions where those tea house lodges are not available. During the camping trek, our crew team will carry all camping equipments, meals and essentials. II) National Park/Conservation Area Permits: Every trekking trail are joined with at least one national park or conservation area project where we have to issue permit and have to pay certain royalty for Conservation area project. 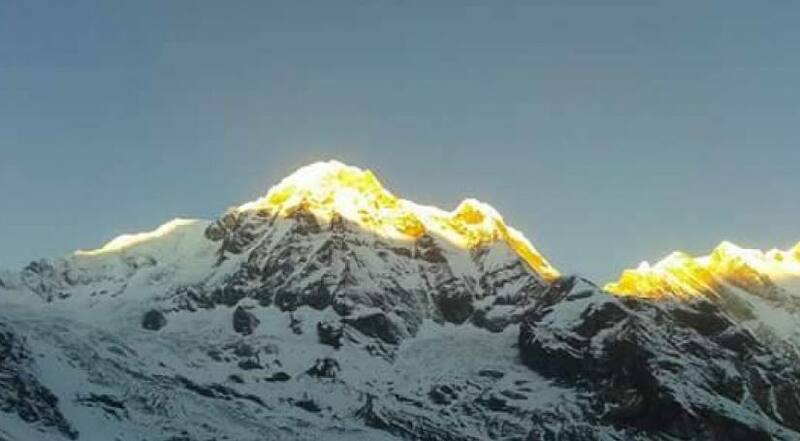 For example; Annapurna Conservation Area Project required for Annapurna region trekking, Sanagmatha National Park permit required for Everest region trekking etc. 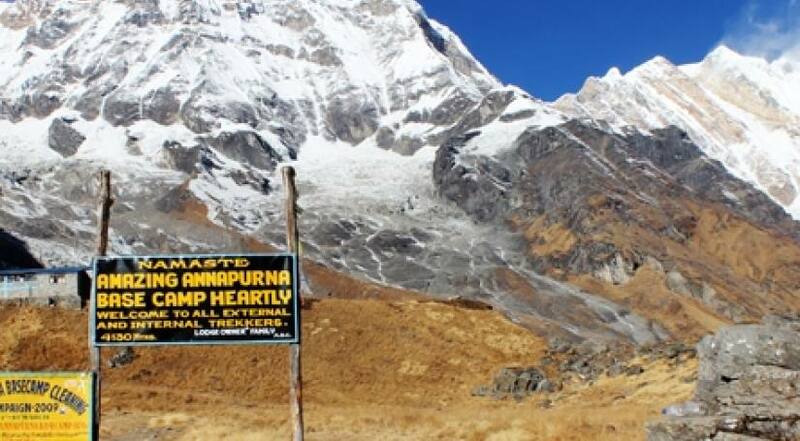 III) Special Permits: It is compulsory for restricted area’s trekking in Nepal. Nepal government has listed some important trekking trails in their restricted area lists such as Upper Mustang, Upper Dolpo, Lower Dolpo, Manaslu Circuit, Makalu Circuit etc. such permits are need to be issued from department of immigration of Nepal. This permit’s royalty rates are generally higher than national park/conservation area fees and TIMS differ from season of trek and its duration. Please contact us for full extent of information about royalty lists for special permits. Safety and security is one of the major factors while in Nepalese mountains for trekking adventure where we might face unusual sickness, problems, injury and so on. First of all be sure you have chosen best company for your trekking holiday that’s why you will get experienced and knowledgeable trekking staffs. Guidelines from trekking leader plays vital role to be safe from such unusual problems. We generally provide experienced guides who are well trained having high level of knowledge about altitude sickness and other possible problems as well as basic treatment procedure to be safe from the problems. Our itinerary can be changed accordingly to your interest, duration and preference. If you want to do extra activities such as Mountain Flight, Jungle Safari, Sight Seeing, All Nepal Tours, Hotel Booking, Flight Ticket, Tourist Bus Ticket, Vehicle on Hire, Peak Climbing, Rafting, Paragliding. We are ready to serve you. We are always happy to follow your suggestion accordingly.